Looking back at 11 years of the Chilean magazine. 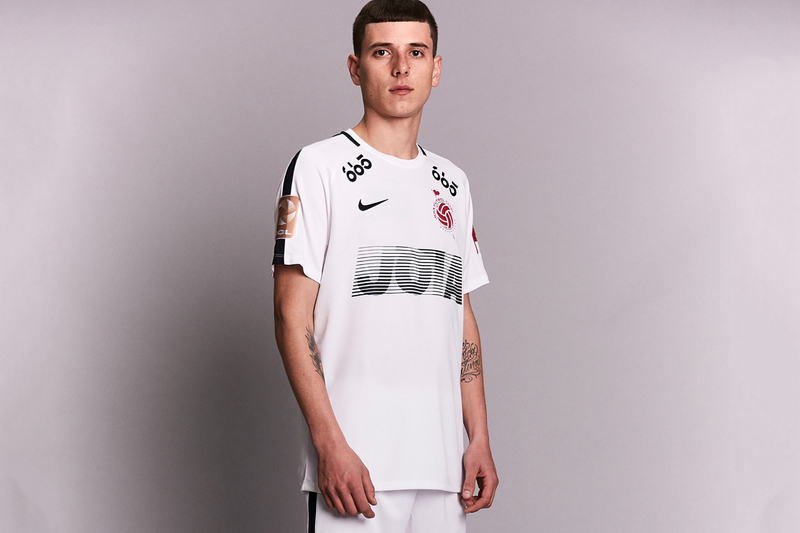 Chilean design magazine JOIA has linked up with Nike for a football-themed capsule to coincide with the 2018 FIFA World Cup (despite Chile’s failure to qualify). As well as celebrating the World Cup, the collection also celebrates JOIA’s history as a publication. The jerseys feature the number 53 to mark the 53rd edition of the magazine, while the 11 stars is a nod to the magazine’s 11-year history. As well as the black or white football jerseys, the collection also includes special JOIA F.C. tracksuits, shorts and socks, all of which come in a monochrome color palette with the magazine’s new badge in red. Take a look at the collection above, and head to the JOIA website to pre-order the capsule. In other football-related news, check out the best memes from the Quarter-Finals. Featuring pigment-dyed French terry pieces. The latest from the outlandish fashion label. Centered around the “In My Feelings” dance challenge.